Scheduled to open in Perth on August 9, the band have added a second concert in Brisbane on August 24 and third shows in Sydney (Aug 15) and Melbourne (Sep 9). Tickets for the new dates are now on sale; the series will wrap up with three dates in New Zealand in September. The tour will feature new lineup additions Mike Campbell of Tom Petty’s band and Neil Finn of Crowded House/Split Enz fame in place of longtime member Lindsey Buckingham, following his firing last year. 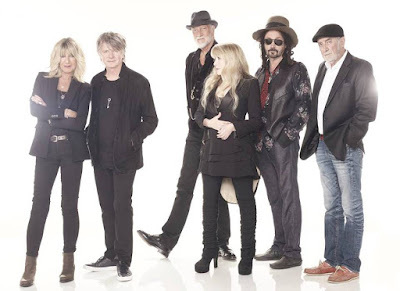 Following a six-week break, Fleetwood Mac resumed their current North American tour in Denver, CO last weekend. The band released their first-ever career-spanning collection, “50 Years – Don’t Stop”, in November - pick it up now at Amazon.